The speedometer reflects the st ate of the region’s real estate market using housing inventory, price gains, home sales, interest rates, and larger economic factors. In addition to his day-to-day responsibilities, Matthew sits on the Washington State Governor’s Council of Economic Advisors; chairs the Board of Trustees at the Washington Center for Real Estate Research at the University of Washington; and is an Advisory Board Member at the Runstad Center for Real Estate Studies at the University of Washington where he also lectures in real estate economics. This past Wednesday and Thursday evenings we had the pleasure of hosting our annual Market Forecast events in Denver and Fort Collins. Thank you to the 700 people who attended. We appreciate your support! There are distinct differences in months of inventory across different price ranges = opportunity for the move up buyer. New home starts along the Front Range are roughly 60% of pre-bubble highs 14 years ago. Americans have more equity in their homes than ever, $6 Trillion! The average FICO score of home buyers is significantly higher than the long-term average. The homeownership rate is back to the long-term average. If you would like a copy of the presentation, go ahead and reach out to me. I would be happy to put it in your hands. Colorado continues to see very strong job growth, adding 72,800 non-agricultural jobs over the past 12 months—an impressive increase of 2.7%. Through the first five months of 2018, the state added an average of 7,300 new jobs per month. I expect this growth to continue through the remainder of the year, resulting in about 80,000 new jobs in 2018. In May, the state unemployment rate was 2.8%. This is slightly above the 2.6% we saw a year ago but still represents a remarkably low level. Unemployment remains either stable or is dropping in all the markets contained in this report, with the lowest reported rates in Fort Collins and Boulder, where just 2.2% of the labor force was actively looking for work. The highest unemployment rate was in Grand Junction, which came in at 3.1%. In the second quarter of 2018, 17,769 homes sold—a drop of 2.4% compared to the second quarter of 2017. Sales rose in 5 of the 11 counties contained in this report, with Gilpin County sales rising by an impressive 10.7% compared to second quarter of last year. There were also noticeable increases in Clear Creek and Weld Counties. Sales fell the most in Park County but, as this is a relatively small area, I see no great cause for concern at this time. Slowing sales activity is to be expected given the low levels of available homes for sale in many of the counties contained in this report. That said, we did see some significant increases in listing activity in Denver and Larimer Counties. This should translate into increasing sales through the summer months. The takeaway here is that sales growth is being hobbled by a general lack of homes for sale, and due to a drop in housing demand. The smallest price gains in the region were in Park County, though the increase there was still a respectable 7%. Appreciation was strongest in Clear Creek and Gilpin Counties, where prices rose by 28.9% and 26%, respectively. All other counties in this report saw gains above the long-term average. Although there was some growth in listings, the ongoing imbalance between supply and demand persists, driving home prices higher. The average number of days it took to sell a home remained at the same level as a year ago. The length of time it took to sell a home dropped in most markets contained in this report. Gilpin County saw a very significant jump in days on market, but this can be attributed to the fact that it is a very small area which makes it prone to severe swings. In the second quarter of 2018, it took an average of 24 days to sell a home. Of note is Adams County, where it took an average of only 10 days to sell a home. Housing demand remains very strong and all the markets in this report continue to be in dire need of additional inventory to satisfy demand. For the second quarter of 2018, I have moved the needle very slightly towards buyers as a few counties actually saw inventories rise. However, while I expect to see listings increase in the coming months, for now, the housing market continues to heavily favor sellers. It measures how active the market is by tracking the number of single family homes that sell for at least list price. 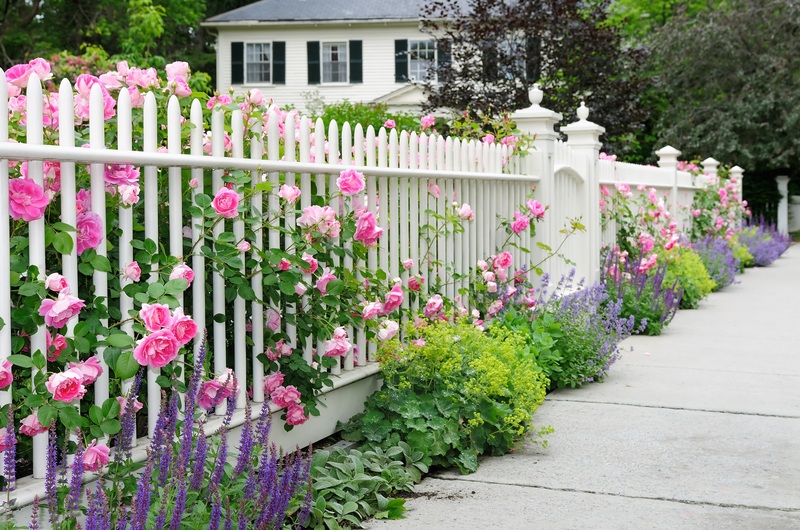 Because of the demand in our market, many homes sell for list price or higher. Based on these numbers, homes that are priced right, and positioned right in the market will attain the price the seller wants (or higher). Grab a copy of our Investment Kit so you can see the simple steps to get started without stress or complication. Email me at julie.maxwell@windermere.com and I will send you a video which clarifies the process and our Investment Checklist so you can see what to do first. 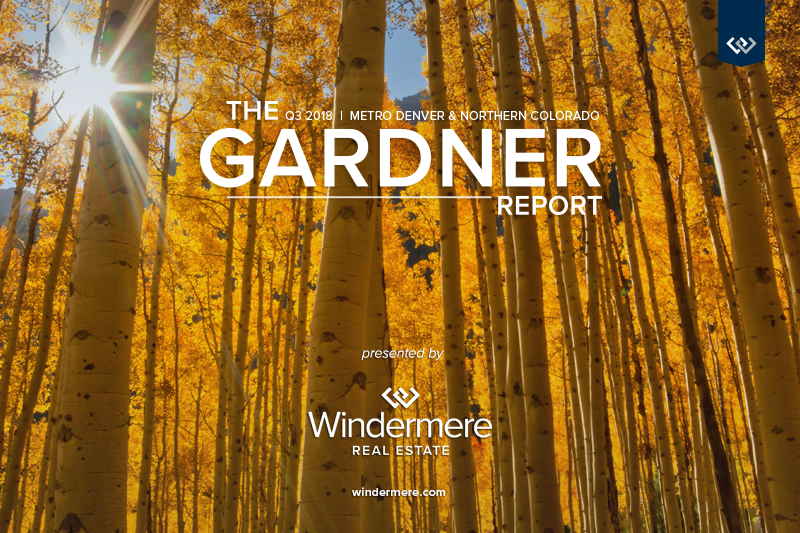 The following analysis of the Metro Denver & Northern Colorado real estate market is provided by Windermere Real Estate Chief Economist Matthew Gardner. We hope that this information may assist you with making better-informed real estate decisions. For further information about the housing market in your area, please don’t hesitate to contact me. It’s good news for the state of Colorado, which saw annual employment grow in all of the metropolitan markets included in this report. The state added 63,400 non-agricultural jobs over the past 12 months, an impressive growth rate of 2.4%. Colorado has been adding an average of 5,300 new jobs per month for the past year, and I anticipate that this growth rate will continue through the balance of 2018. In February, the unemployment rate in Colorado was 3.0%—a level that has held steady for the past six months. Unemployment has dropped in all the markets contained in this report, with the lowest reported rates in Fort Collins and Denver, where 3.1% of the labor force was actively looking for work. The highest unemployment rate was in Grand Junction, which came in at 4.6%. In the first quarter of 2018, there were 11,173 home sales—a drop of 5.6% when compared to the first quarter of 2017. With an increase of 5.3%, home sales rose the fastest in Boulder County, as compared to first quarter of last year. There was also a modest sales increase of 1.2% in Larimer County. Sales fell in all the other counties contained within this report. Home sales continue to slow due to low inventory levels, which were down 5.7% compared to a year ago. The takeaway here is that sales growth continues to stagnate due to the lack of homes for sale. Strong economic growth, combined with limited inventory, continued to push prices higher. The average home price in the markets covered by this report was up by 11.7% year-over-year to $448,687. Arapahoe County saw slower appreciation in home values, but the trend is still positiveand above its long-term average. Appreciation was strongest in Boulder County, which saw prices rise 14.8%. Almost all other counties in this report experienced solid gains. The ongoing imbalance between supply and demand persists and home prices continue to appreciate at above-average rates. The average number of days it took to sell a home dropped by three days when compared to the first quarter of 2017. Homes in all but two counties contained in this report took less than a month to sell. Adams County continues to stand out where it took an average of just 17 days to sell a home. During the first quarter, it took an average of 27 days to sell a home. That rate is down 2 days from the fourth quarter of 2017. Housing demand remains strong and would-be buyers should expect to see stiff competition for well-positioned, well-priced homes. This speedometer reflects the state of the region’s housing market using housing inventory, price gains, home sales, interest rates, and larger economic factors. In the first quarter of 2018, I have left the needle where it was in the fourth quarter of last year. 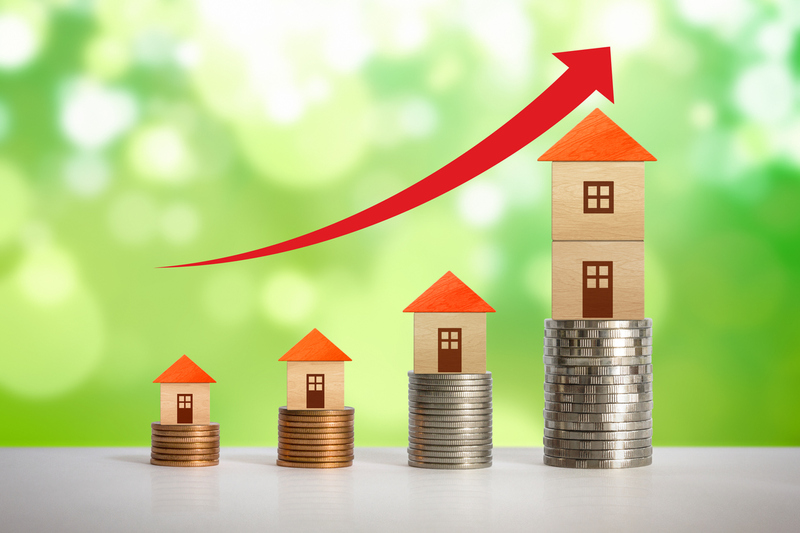 Even as interest rates trend higher, it appears as if demand will continue to outweigh supply. 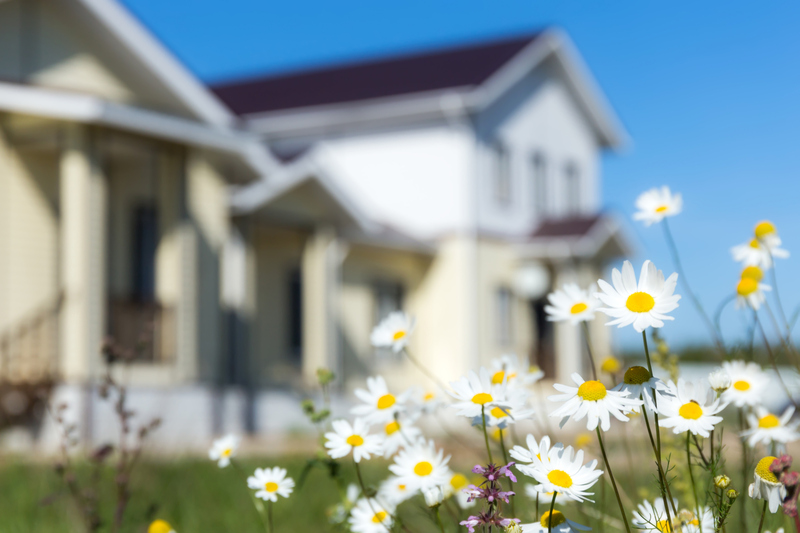 As we head into the spring months, I had hoped to see an increase in the number of homes for sale, but so far that has not happened. As a result, the housing market continues to heavily favor sellers.